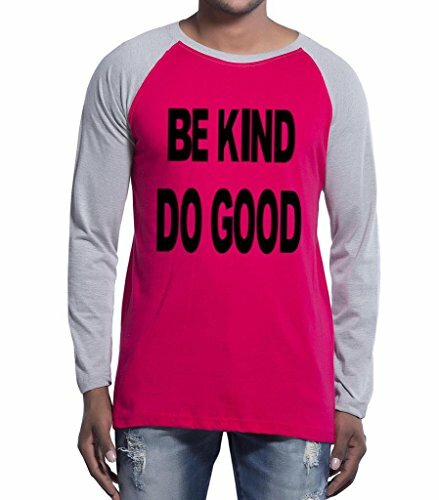 Clifton Mens FT Printed Raglan T-Shirts-Fushia-Red-Grey-Melange-Black Be Kind Do Good-6XL@949 Rs [Mrp:-949] - Onlinedeals.discount - A leading product discovery website. Find the true prices of products, read reviews and buy top brand products at reasonable prices. Clifton Mens Printed T-Shirts Are Made of Cotton Rich. Light Weight Fabric and Bio Washed for Ultimate Softness. Azo Dyed for Excellent Colour Fastness. Available In Sizes S, M, L, XL, XXL,3XL,4XL,5XL,6XL,7XL,8XL,9XL & 10XL. Clifton Mens Printed T-Shirts Are Made of Cotton Rich. Light Weight Fabric and Bio Washed for Ultimate Softness. Azo Dyed for Excellent Colour Fastness. Compacted for Minimum Shrinkage. Available In Sizes S, M, L, XL, XXL,3XL,4XL,5XL,6XL,7XL,8XL,9XL &10 XL.